We are finding that instead of being involved with negotiating option agreements with potential developers on behalf of land owning clients, we are being asked to look at what are known as “Promotion Agreements”. What’s the difference between an Option Agreement and a Promotion Agreement? Under an Option Agreement the developer is given the right to buy the land in certain circumstances but is not obliged to complete the purchase. 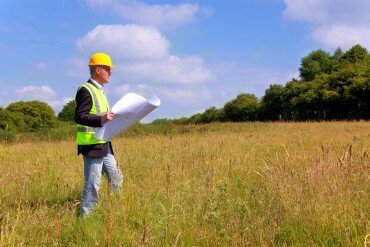 Usually the developer will only take up the right to buy the land once he has got planning permission. Under a Promotion Agreement the developer does not buy the land. Instead, the developer and the landowner join forces; the developer using his expertise and money to “promote” the site to obtain planning permission and find a buyer. The site is sold by the landowner, and he and the developer share the sale money. There are advantages to the landowner in having a Promotion Agreement. For one thing, if you have any experience of granting options, you will know that the developer wants to get the price down so that he pays the landowner as little as possible. Under a Promotion Agreement, landowner and developer both have an interest in maximising the sale price (because they share in the sale monies). Usually, the arrangement is that the sale proceeds are divided, after the costs of sale and the costs of obtaining planning permission (which can be considerable) are deducted – together with any up front payment which the developer paid the landowner to secure the right to “promote” the site with him. Promotion Agreements can also be useful to developers wanting to put together ambitious schemes involving several landowners. Promotion of the site can be covered under a single agreement, with all parties, rather than having several individual option agreements. Does the developer have to take a risk on not getting paid? There are certainly risks, but the developer will have rights under the Promotion Agreement and is likely to want to take security over the land in question to secure payment of his share. It will be interesting to see the extent to which Promotion Agreements increase in popularity. Development funding continues to be scarce and these innovative agreements can often be a better alternative to an option for all parties concerned (as long as they understand the collaborative nature of the arrangement). Stephen leads the Property Department at Thompson Smith and Puxon Solicitors.